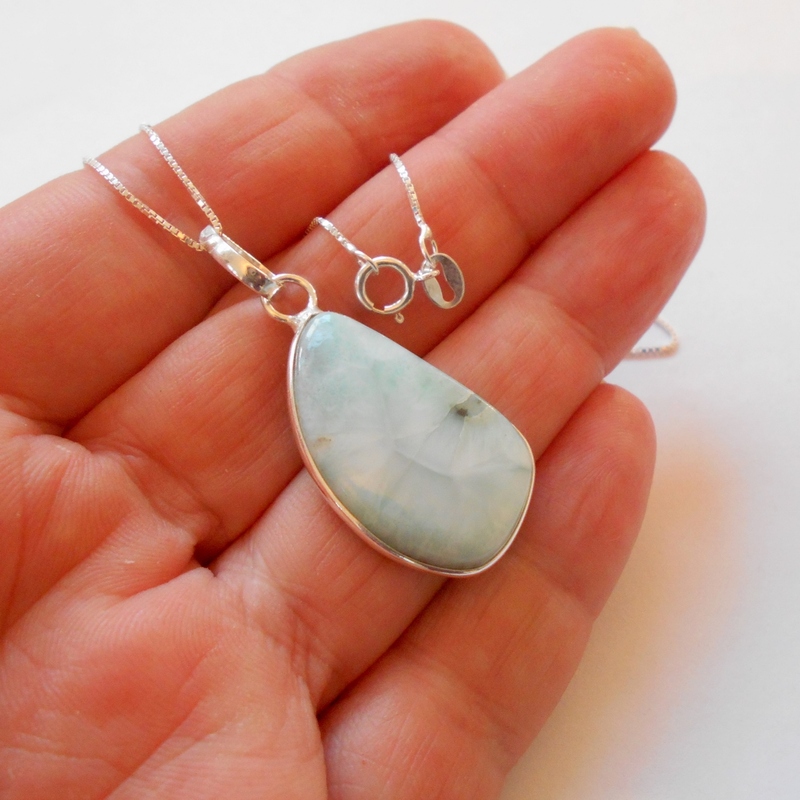 Gorgeous sea blue larimar gemstone sterling silver necklace. 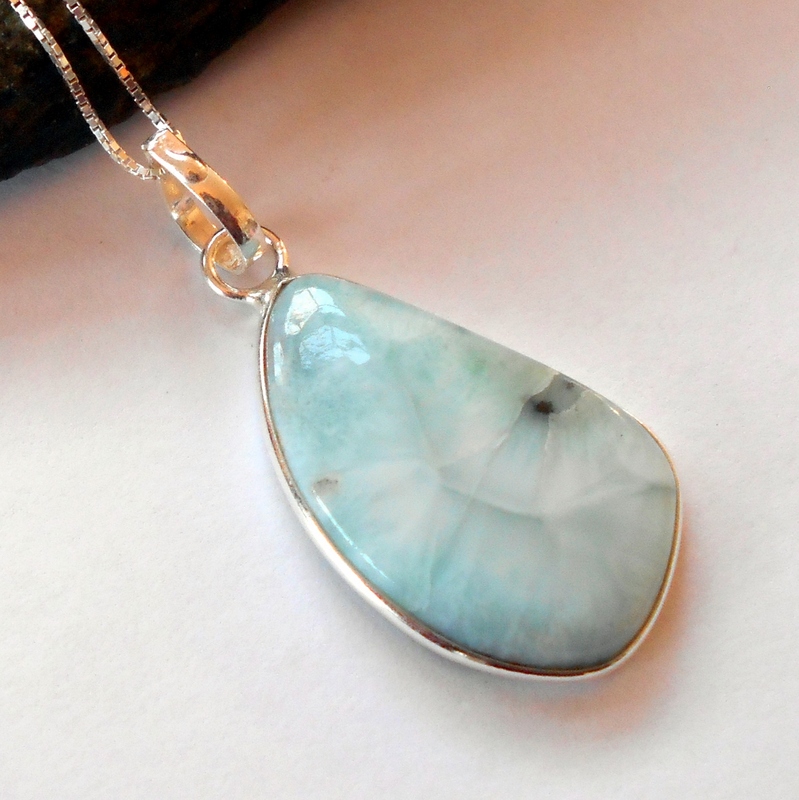 Larimar is a throat chakra gemstone used for calming, communication, and feminine power. It connects you to the goddess energy of the sea and sky. 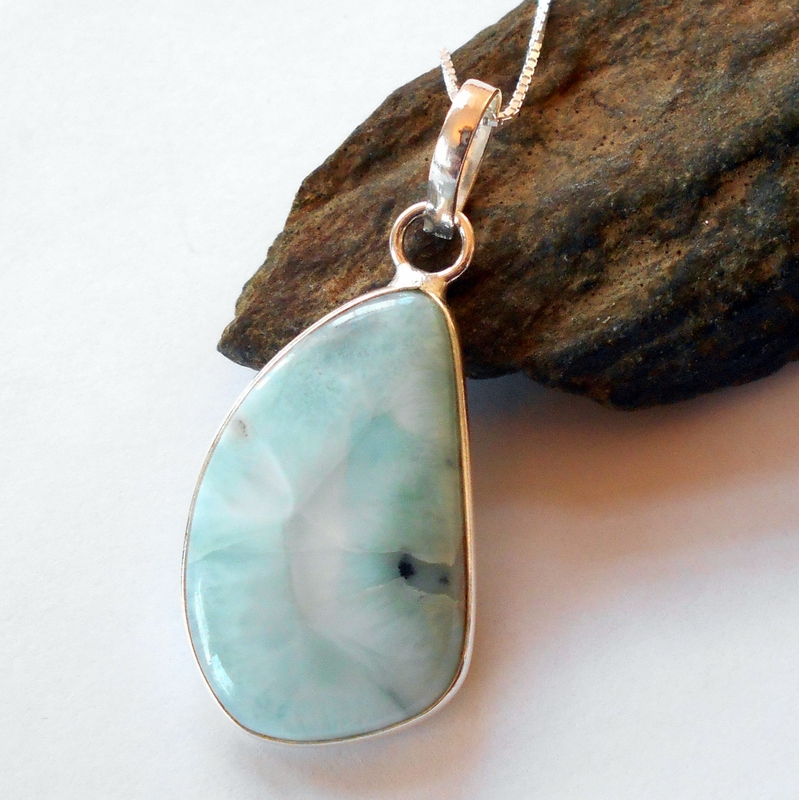 Larimar encourages vivaciousness and good humor, and balances the water and fire elements. Overall pendant drop length 1 1/2 inches. Necklace is finished with a sterling silver 18 inch box chain.